P. Peterka, I. Kašík, V. Matějec: “Zařízení a způsob pro navázání signálu a čerpání do dvouplášťového optického vlákna”, CZ Pat. 301215. Kašík, I., Mrázek, J., Martan, T., Pospíšilová, M., Podrazký, O., Matějec, V., Hoyerová, K., Kamínek, M.: "Fiber-optic pH detection in small volumes of biosamples", Analytical and Bioanalytical Chemistry 398 (2010) 1883-1889. Matějec, V., Mrázek, J., Podrazký, O., Hayer, M., Pospíšilová, M.: "Fiber-optic U-shaped detection elements for the investigation of photocatalytic activity of optical fibers coated with layer of TiO2" Sensor Letters 7 (2009) 900-904. Mrázek, J., Spanhel, L., Chadeyron, G., Matějec, V.: "Evolution and Eu3+ doping of sol-gel derived ternary Zn xTiyOz - Nanocrystals", Journal of Physical Chemistry C 114 (2010) 2843-2852. M. Zaharescu, A Barau, L. Predoana, M Gartner, M Anastasescu, J. Mrazek, 1. Kašík, V. Matějec : "Ti02-Si02 sol-gel hybrid films and their sensitivity to gaseous toluene", J. Non-eryst. Solids, 354,2-9(2008),pp 639 -699. P. Peterka, I. Kašík, V. Matějec, W. Blanc, B. Faure, B. Dussardier, G. Monom, V. Kubeček,: "Thulium-doped silica-basedoptical fibers for cladding-pumped fiOOr amplifiers", Optical Materials, 30: ,(2007), 174- 176. P. J. Scully, L. Betancor, J. Bolyo, S. Dzydevych, J. M Guisan, R. Fernandez-Lafuente, N. Jaffrezic - Renault, G. Kuncová, V. Matějec, B. O'Kennedy, O. Podrazký, K. Rose, L. Sašek, J. S. Young: "Optical fibre biosensors using enzymatic transducers to monitor glukose", Measurement Science and Technology 18(10) (2007) 3177-3186. J. Skokankova, J. Mrazek, V. Matejec, M. Hayer, I. Kasik, M. Chomat, D. Berkova, A. Barau, M. Zaharescu, M. Raileanu : “Properties of xerogel layers for the detection of toluene in water“, Materials Science and Engineering C 26 (2-3) (2006), 208-213. V. Matejec, J. Mrazek, M. Hayer, I. Kasik, P. Peterka, J. Kanka, P. Honzatko, D. Berkova : “Microstructure fibers for gas detection“, Materials Science and Engineering C 26 (2-3) (2006), 317-321. P. Cisarovsky, J. Dunovsky, L. Kolarik, F. Todorov, I. Kasik, V. Matejec : “Recording of long-period gratings in special single-mode fibers by a CO2 laser“, Materials Science and Engineering C 26 (2-3) (2006), 448-452. J. Ctyroky, M. Chomat, V. Matejec : “Analysis of long-period gratings inscribed in the core of a fiber with inverse parabolic-index cladding“, Materials Science and Engineering C 26 (2-3) (2006), 431-435. M. Chomat, D. Berkova, V. Matejec, I. Kasik, J. Kanka, R. Slavik, A. Jancarek ,P. Bittner : “Responses of a long-period gratings fabricated in a graded-index optical fiber to temperature and refractive-index changes“, Materials Science and Engineering C 26 (2-3) (2006), 457-461. A. Abdelghani, K. Cherif, N. Jaffrezic-Renault, V. Matejec : “Impedance spectroscopy on xerogel layer for chemical sensing“, Materials Science and Engineering C 26 (2-3) (2006), 542-545. M. Crişan, M. Răileanu, S. Preda, M. Zaharescu, A. M. Vălean, E. J. Popovici, V. S. Teodorescu, V. Matejec, J. Mrazek: “Manganese doped sol-gel materials with catalytic properties“, Journal of Optoelectronics and Advanced Materials, 8 (2) (2006), 815-819. P. Peterka, I. Kasik, V. Matejec, V. Kubecek, P. Dvoracek : ”Experimental demonstration of novel end-pumping method for double-clad fiber devices“, Optics Letters. 31 22 (2006), 3240-3242. M. Chomat, J. Ctyroky, D. Berkova, V. Matejec, J. Kanka, J. Skokankova, F. Todorov, A. Jancarek, P. Bittner : “Temperature sensisivity of long-period gratings inscribed with a CO2 laser in optical fiber with graded-index cladding“, Sensors and Actuators. B 119 (2) (2006), 642-650. M. Chomát, J. Mrázek, V. Matějec, I. Kašík, J. Skokánková : “Investigation of the sensitivity of PCS fibers to changes of light absorption coefficient of the cladding”, Proc. SPIE 5036 : Photonics, Devices and Systems, Prague, May 2002, pp. 72-77. I. Kašík, V. Matějec, M. Chomát, D. Berková, G. Kuncová : “Sensitivity of an IGI fiber with the germanium oxide-doped silica core to refractive-index changes of the optical cladding”, Proc. SPIE 5036 : Photonics, Devices and Systems, Prague, May 2002, pp. 123-128. M. Chomát, D. Berková, V. Matějec, I. Kašík, G. Kuncová, M. Hayer : „Optical detection of toluene in water using an IGI optical fiber with a short sensing region“, Sensors and Actuators B87 (2002), 258-267. Matějec, V. - Berková, D. - Chomát, M. - Kuncová, G: Modification of the selectivity of thin porous layers coated by the sol-gel method on silica optical fibers to gases. Bellingham, Proc. SPIE 4016- The International Society for Optical Engineering 2000. - S. 112-117. Martan, T., Pospíšilová, M., Aubrecht, J., Mrázek, J., Podrazký, O., Kašík, I., Matějec, V.: "Tapered optical fibres for local pH detection", Journal of Physics: Conference Series 206 (2010) art.no.012017. Caron, S., Paré, C., Proulx, A., Grenier, P., Matějec, V.: "Velocity measurements comparison of water and pentane travelling in capillary optical fibers coated respectively with a xerogel and a poly(dimethylsiloxane) absorbing layer", Proceedings of SPIE - The International Society for Optical Engineering 7386 (2009) art.no. 73861E. F. Todorov, M. Chomat, J. Ctyroky, D. Berkova, V. Matejec, I. Kasik, J. Dunovsky : ”Investigaton of temperature and bend sensitivities of long period gratings inscribed with a CO2 laser in optical fiber with graded-index cladding”, Proc. Photonics 2008, New Delhi, December 2008 (poster). T. Martan, J. Kaňka, I. Kašík, V. Matějec: „Tapered optical fibres for sensing“, Proc. SPIE 7138, Photonics Prague 2008, Prague, August 2008, 71380Z-1 – 71380Z-6. V. Matějec, O. Podrazký, M. Hayer, M. Pospíšilová, D. Berková: Performance of Microstructure and Capillary Fibers for Detection of Toluene and Ethanol in Gaseous Phase, Photonics Prague 2008, 7 (oral). I. Kašík, J. Mrázek, O. Podrazký, M Seidl, J. Aubrecht, M. Pospíšilová, P. Tobiška, V. Matějec, B. Kovacs, A. Markovics, M. Szili: “Detection of chlorine in water", 2008, Dublin, 30.3.2008-2.4.2008, poster. T. Martan, O. Podrazký, I. Kašík, M. Pospíšilová, V. Matějec, J. Kaňka: “Fibre – Optic Local Detection of pH“, 2008, Dublin, 30.3.2008-2.4.2008, poster. V. Matějec, J. Mrázek, M. Hayer, O. Podrazký, M. Pospíšilová: “Sensitivity of Capillary and Microstucture Fibers Modified by Xerogel Layers to Toluene Dissolved in Water“, 2008, Dublin, 30.3.2008-2.4.2008, poster. M. Szilli, I. Kašík, V. Matějec, B. Kovacs:“Polyluminol Based Sensor for the Detection of Dissolved chlorine in Water“, 2008, Dublin, 30.3.2008-2.4.2008, poster. O. Podrazký, V. Matějec, G. Kuncová, M. Pospíšílová, J. Mrázek, 1. Kašík, K. Rose, N. Jaffrezic - Renault, S. Dzyadevych, L. Šasek, P. J. Scully: "Optical sensors for monitoring ofbioprocesses",Trendy v biomedicínském inženýrství, Prague, September 2007,287-290. V. Matějec, J. Mrázek, O. Podrazký: "Preparation ofxerogellayers in microstructure and capillary fibers for the detection of gaseous oxygen and aromatic hydrocarbons", Book of Abstracts XIV th International Sol-gel Konference, Montpellier: ENSCM Communication - Ecole Nationale Superieure de Chimie de Montpellier, 2007, 541. J. Mrázek, L. Špaňhel, V. Matějec: "Sol-gel processing and optical properties of Eu3+ ZnxTiyOz Nanostructures", Book of Abstracts XIVth International Sol-gel Konference, Montpellier: ENSCM Communication - Ecole Nationale Superieure de Chimie de Montpellier, 2007, 303. T. Martan, J. Kaňka,O. Podrazký, 1. Kašík, V. Matějec : ,“Kónicky zúžená optická vlákna“, Optické komunikace, O. K. 2005, Praha, November 2007,121-127. P. Šiška, J. Škápa., 1. Kašík, V. Matějec, V. Vašinek: A new area of optical fiber sensors: hybrid optical fibers based on redistribution of power, Book of Abstracts, 30.09.07-3.10.07 Capri, 2007, p.49. I. Kasik, V. Matejec, M. Chomat, M. Hayer, D. Berkova : ”Optical fibres for optical sensing“, In Optical Chemical sensors, Dordrech: Springer, 2006, 59-76. F. Todorov, J. Dunovsky, L. Kolarik, P. Cisarovsky, M. Chomat, D. Berkova, V. Matejec, I. Kasik : “LPGs in singlemode optical fibers prepared by CO2 laser“, In Proceedings of Workshop 2006, Prague, Czech Technical University, 2006, 468-469. V. Matejec, J. Mrazek, M. Hayer, D. Berkova, I. Kasik, M. Chomat : “Sensitivity of capillary and microstructure fibers modified by xerogel layers with Ru-complex to gaseous oxygen“, Proc. 8th Europt®ode, Tübingen, April 2006, 125. J. Mrazek, V. Matejec, M. Hayer, J. Skokankova, I. Kasik, D. Berkova, F. Kostka : “Capillary optical fibers modified by xerogel layers for chemical detection“,In Photonics, Devices, and Systems III. Proceedings from Photonics Prague 2005. Bellingham : SPIE 6180 The International Society for Optical Engineering, 2006, 618013.1-618013.6. V. Matejec, M. Hayer, I. Kasik, J. Mrazek, P. Peterka, J. Kanka, P. Honzatko : “Microstructure fibers for the development of fiber lasers“, In Photonics, Devices, and Systems III. Proceedings from Photonics Prague 2005. Bellingham : SPIE 6180 The International Society for Optical Engineering, 2006, 61800Z.1-61800Z.6. P. Peterka, I. Kasik, V. Kubecek, V. Matejec, M. Hayer, P. Honzatko, A. Zavadilova, P. Dvoracek: “Optimization of erbium-ytterbium fibre laser with simple double-clad structure“, In Photonics, Devices, and Systems III. Proceedings from Photonics Prague 2005. Bellingham : SPIE 6180 The International Society for Optical Engineering, 2006, 618010.1-618010.6. P. Solarik, Z. Burian, I. Kasik, V. Matejec, J. Mrazek, M. Hayer: “Dielectric annular core fiber for optical sensing“, In Proc. SPIE - The International Society for Optical Engineering. Bellingham : SPIE 6180 The International Society for Optical Engineering, 2006, 61891R.1-61891R.9. P. Peterka, V. Kubecek, I. Kasik, V. Matejec, W. Blanc, B. Dussardier : “Thulium-doped silica-based optical fibers for cladding pumped fiber amplifiers and lasers“, ISLNOM-4. 4th International Symposium on Laser, Scintillator and Non Linear Optical Materials. Abstract Book. Praha : Czech Technical University in Prague, Faculty of Nuclear Science and Physical Engineering, 2006, 127. P. Peterka, V. Kubecek, P. Dvoracek, I. Kasik, V. Matejec : “Laser performance of double-clad Er/Yb doped fiber with cross-section tailored for direct splicing to the pump and signal fiber“, In CLEO/GELS'06 and PhAST - Conference on Lasers and Electro-Optics/Quantum Electronics and Laser Science Conference and Conference on Photonic Applications, Systems and Technologies 2006 Technical Digest CD-ROM. Washington: Optical Society of America, 2006, CTuQ7.pdf. J. Mrazek ,V. Matejec, D. Niznansky, J. Skokankova, I. Kasik : ”Preparation and characterization of xerogel layers doped with noble metals nanoparticles“, Proc. Romphyschem 12, Bucharest : "Ilie Murgulescu" Institute of Physical Chemistry Romania, September 2006, lecture. V. Matejec, M. Hayer, J. Mrazek, I. Kasik, O. Podrazky, M. Pospíšilova : “Performance of the sol-gel method for the preparation of optical fibers“, Proc. 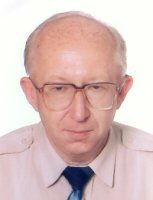 Romphyschem 12, Bucharest : "Ilie Murgulescu" Institute of Physical Chemistry Romania, September, 2006, 243. K. Kolacek, J. Schmidt ,V. Prukner, O. Frolov, J. Straus, V. Stelmashuk, M. Martinkova, V. Matejec, I. Kasik: “CAPEX-U – a new driver for discharge-pumped lasers working on the wavelength below 15 nm“, In 10th Int. Conference on X-ray Lasers, XRL 2006 Conference Program and Book of Abstracts.Berlin 2006, 85. M. Chomat, D. Berkova, J. Ctyroky, V. Matejec, I. Kasik, M. Salvia, F. Todorov, A. Jancarek: ”Structural bend sensing with long-period fiber gratings“, MADICA 2006. Recueil des Resumes. Monastir, 2006, 127. J. Ctyroky, M. Chomat, V. Matejec : ”Analysis of bending effects in LPGs in parabolic GI cladding fibres“, MADICA 2006. Recueil des Resumes. Monastir, 2006,125. V. Matejec, J. Mrazek, M. Hayer, O. Podrazky, J. Kanka, I. Kasik : ”Sensitivity of microstructure fibers to gaseous oxygen“, MADICA 2006. Recueil des Resumes.Monastir, 2006, 94. F. Todorov, J. Dunovsky, L. Kolarik, M. Chomat, D. Berkova,V. Matejec : ”Multiple inscription of long-period gratings into single-mode optical fibers by a CO2 laser“, MADICA 2006. Recueil des Resumes. Monastir, 2006, 122. I. Kasik, J. Mrazek, O. Podrazky ,M. Seidl, P. Tobiska, V. Matejec, B. Kovacs, A. Markovics, M. Szili : ”Preparation and characterization of thin sensitive layers for opto-electrochemical detection of chlorine in water“, MADICA 2006. Recueil des Resumes. Monastir, 2006,57. J. Mrazek, V. Matejec, I. Kasik : ”Preparation and characterization of distributed fiber-optic sensors based on the localized surface plasmon resonance. MADICA 2006. Recueil des Resumes. Monastir, 2006, 85. F. Todorov, J. Dunovsky, L. Kolarik, P. Kosek, M. Chomat, D. Berkova, V. Matejec: ”Long-period gratings in optical fibers prepared by a CO2 laser“, Proc.CO-MA-TECH 2006 Bratislava, 2006, 209. M. Zaharescu,A. Barau, L. Predoana, M. Gartner, A. Ghita, J. Mrazek, J. Skokankova, V. Matejec : ”TiO2-SiO2 sol-gel hybrid films for toluene detection“, Proc. XI Conf. on Physics of Non Crystalline Solids. Athens, 2006, 163. F. Todorov, A. Jancarek, J. Dunovsky ,L. Kolarik, M. Chomat, D. Berkova, V. Matejec : ”Long-period gratings inscribed into single-mode optical fibers by a CO2 laser“, Laser physics and applications 2006. Sofia, 2006, 97. A. Jancarek, P. Bittner, M. Chomat, D. Berkova, V. Matejec, I. Kasik, M. Vrbova, J. Dunovsky : “Long-period grating written into special-way graded-index fiber“, In ICOL - 2005. Conference Proceedings. Dehradun: Instruments Research & Development Establishment, 2005. PP-FIO-11, International Conference on Optics and Optoelectronics ICOL - 2005. Symposium of the Optical Society of India /31./, Dehradun, 12.-15.12.2005. F. Todorov, J. Dunovsky , L. Kolarik, P. Cisarovsky, M. Chomat, D. Berkova, V. Matejec, I. Kasik : “Inscription of LPGs into IGI optical fibers by a CO2 laser“, Proc. CO-MAT-TECH Trnava 2005, 20.-21. October 2005, 184. J. Slanicka, P. Peterka,V. Matejec, I. Kasik, M. Pospisilova : “Tomograficka rekonstrukce geometrie a profilu lomu preforem.“, Proc. Opticke komunikace O.K.2005. Praha,October 2005, 121-127. A. Zavadilova, V. Kubecek, I. Kasik, V. Matejec : “Erbium - Ytterbium fiber laser with simple double-clad waveguide”, Proc. OAA, Vienna, March 2005. P. Peterka, I. Kasik, V. Matejec, P. Honzatko, J. Slanicka : “Novel method for end-pumping of double-clad fiber amplifiers: Principle and tailoring the cross section“, Proc. OAA, Budapest, August 2005. P. Peterka, I. Kasik, V. Matejec, J. Kanka, M. Karasek, M. Hayer, J. Slanicka : “Novel coupling element for end-pumping of double-clad fibers“, ECOC 2005,755 – 756. J. Čtyroký, M. Chomát, V. Matějec: „Analysis of long-period gratings inscribed in the core of a fiber with inverse parabolic index cladding“, Recueil des Resumes Madica 2004, Tunis, Tunisia, November 2004, P II-24 submitted to Mat. Sci. and Eng. J. Mrázek, V. Matějec, M. Chomát: „Comparison of evanescent-wave and leaky-wave fiber optic sensing structures for gas detection“, Recueil des Resumes Madica 2004, Tunis, Tunisia, November 2004, P I-25 submitted to Mat. Sci. and Eng. J. Skokánková, J. Mrázek, V. Matějec, M. Hayer, I. Kašík, M. Chomát, D. Berková: „Properties of xerogel layers for detection of toluene in water“, Recueil des Resumes Madica 2004, Tunis, Tunisia, November 2004, P I-24, submitted to Mat. Sci. and Eng. P. Peterka, I. Kašík, V. Matějec : „Optimální tvar průřezu vlákna pro pláštěm čerpané vláknové lasery a zesilovače”, Proc. Optické komunikace, Praha, Září 2003, p.
A. Zavadilová, V. Kubeček, P. Honzátko, I. Kašík, V. Matějec : “Diodově buzený Er:Yb vláknový laser”, Proc. Optické komunikace, Praha, Září 2003, p.
M. Chomát, D. Berková, V. Matějec, I. Kašík, G. Kuncová : “Detection of aqueous solutions of toluene by means of an IGI fiber in a flow cell”, Proc. Europtrode VI, Manchester, April 2002, p.149. Bardin, F. - Trouillet, A. - Veillas, C. - Gagnaire, H. - Matějec, V. - Berková, D. - Chomát, M. Fibre optique a gradient d'indice parabolique inverse pour la detcetion d'especes chimiques. Recueil des Communications JNOG 99. - Limoges, CNRS 2000. Peterka, P. - Procházka, A. - Matějec, V. :“Využití měření poloměru stopy pole offset metodou pro charakterizaci Er/Yb dopovaných vláken“, Optické komunikace - O.K.'99. - S. 174-178.